We consider the approach to simultaneous (synchronous) solar observations of radio emission by using the STEREO-WAVES instruments (frequency range 0.125–16 MHz) and the largest ground-based low-frequency radio telescope. We illustrate it by the UTR-2 radio telescope implementation (10–30 MHz). The antenna system of the radio telescope is a T-shape-like array of broadband dipoles and is located near the village Grakovo in the Kharkiv region (Ukraine). The third observation point on the ground in addition to two space-based ones improves the space-mission performance capabilities for the determination of radio-emission source directivity. The observational results from the high sensitivity antenna UTR-2 are particularly useful for analysis of STEREO data in the condition of weak event appearances during solar activity minima. In order to improve the accuracy of flux density measurements, we also provide simultaneous observations with a large part of the UTR-2 radio telescope array and its single dipole close to the STEREO-WAVES antennas in sensitivity. This concept has been studied by comparing the STEREO data with ground-based records from 2007–2011 and shown to be effective. The capabilities will be useful in the implementation of new instruments (LOFAR, LWA, MWA, etc.) and during the future Solar Orbiter mission. This work was supported in the frame of the NASU-CNRS PICS program “Development of LF radioastronomy with ultrahigh sensitivity and resolution” (Grant 1.33.11) and the International Research Staff Exchange Scheme “SOLSPANET”. The WAVES-STEREO and Wind WAVES instruments are a joint effort of the Paris-Meudon Observatory, the University of Minnesota, and the Goddard Space Flight Center. 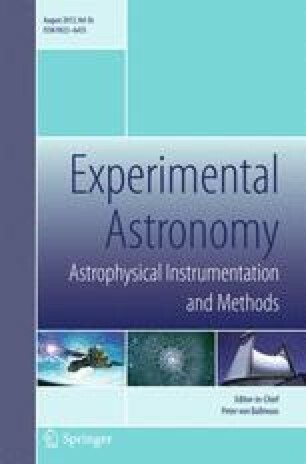 The authors are thankful to the CDPP (Plasma Physics Data Center) team for the assistance with STEREO/WAVES data access. The work of MP was supported by Austrian “Fonds zur Foerderung der wissenschaftlichen Forschung” (project 251 P20680-N16). AS is grateful to the Mathematics Institute for pleasant hospitality during his visit in University of St Andrews. Stanislavsky, A.A., Koval, A.A., Konovalenko, A.A., Abranin, E.P. : http://arxiv.org/pdf/1112.1044.pdf.